Sarah Jane Barnett has an MA in Creative Writing from Victoria University and a PhD from Massey University. Her poetry has been published in New Zealand, Australia, and the US, and anthologised in Best New Zealand Poems, Dear Heart: 150 New Zealand Love Poems (Godwit), and Essential New Zealand Poems: Facing the Empty Page (Random House). Her debut collection A Man Runs into a Woman (Hue & Cry Press, 2012) was a finalist in the 2013 New Zealand Post Book Awards. Sarah was the recipient of the Louis Johnson New Writers’ Bursary and the Estate Phoebe Maunsell Scholarship. Her second collection WORK has just been launched by Hue & Cry Press. 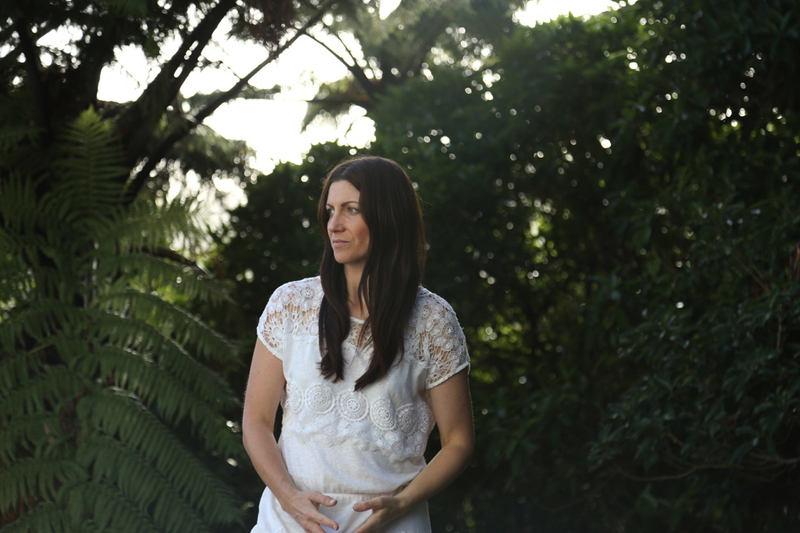 Sarah teaches creative writing at Massey University. To coincide with the arrival of WORK, Sarah agreed to do an interview with Poetry Shelf. Did your childhood shape you as a poet? Did you write as a child? I’ve written for my whole life, in one way or another. I remember entering a poetry competition as a kid, and at primary school we’d illustrate poems. I also remember going for walks as a kid and making up silly poems in my head. I never thought I’d be a writer, though. My undergrad is in Fine Arts and then I studied Museum Studies, so I spent many years working in the public sector and writing on the side. I couldn’t look at my writing full on, in case it was truly awful (and some of it was). It was as though I was teaching myself to write behind my own back! Something changed around the time I wrote the death row poems for my first collection. There was an inescapable humanity about the material. I had to fully engage with the work in order to respect the stories of the inmates and their victims. After that I quit my job and did a PhD at Massey. Now I’m overqualified so there’s no going back. Your new collection, Work, lifted me off the page into realms of delicious contemplation – particularly in view of character and narrative. It grew in me. You say ‘these poems are works of fiction that draw on real people’ and that you ‘worked hard to be faithful to the facts while also allowing room for the poem.’ That poetic room is a fertile space (I want to write about it in my new book!) engendering countless fascinating relations. Were you aiming for particular kinds of poetic activity? I like that you’ve used the word contemplation, because writing is an act of contemplation for me, and I hope my poems spark contemplation in a reader. I’m not sure that’s the same as ‘poetic activity.’ I know that I wanted the poems to be realistic, so set in the real world, with the sun rising at a real time and the flora and fauna being factual to a real landscape that any reader could visit. That was my way of honouring the people whose stories I drew from, and the landscapes they dwelt in, by making them as round and beautiful and burnished as I could. But I also wanted the poem to be more than that – for it to be a fictional construction that explored what it is to be human. For each poem to be knowing that it was this imagined thing, created from language. In that sense each poem’s ‘realness’ is in being a poem. The main character in ‘Addis Ababa’ is a translator for this reason. Not only is it a nice metaphor for how he ‘translates’ his life from one country to another, but it was a way for me to explore how different languages, in his case Amharic and English, shape experience. It also points to how the poet ‘translates’ the world into poetry. I’m not sure where this preoccupation comes from, but I’m intrigued by the liminal space between fact and fiction (and, for that matter, poetry and prose). We all have stories that we tell ourselves in the on-going narrative of our life and identity. I think there’s value in questioning those stories. I also loved ‘Glaciers’ and its multiple levels, overlaps and smudgings. It is a mysterious poem, a haunting poem – yet it embraces something utterly fundamental. Notions of family. I loved the different reactions that the poem drew from me; I was moved, perplexed and delighted in the myriad cryptic hinges. As I read the poem, and navigated the potent maternal traces, I wondered how being a mother affects your writing. Does it? On a very practical level I have less time to write. At the start it was very difficult as he was a baby and I was finishing my PhD. There were some black days during that time (which is partially what ‘Glaciers’ is about). That said, having Sam actually helped my writing. I’ve had to learn how to stop the critical voice that fuels procrastination because he’s only in childcare 24 hours a week. That’s all I get! There’s no time to do it later. At the moment I use the Pomodoro technique to get started. I set a timer for 25 minutes and write without stopping or editing. Then I have a five minute break (I write at home so usually I make a coffee or do the vacuuming or hang out the washing – such glamour!). That’s one ‘pomodoro’ and you’re meant to do four in a row before taking a 30 minute break. By the time I’m into my third pomodoro I’m away and can generally write for four hours at a stretch. So having Sam has been good for developing a stable and on-going writing practice. Also, and I’m going to get soppy here, he’s the most joyous and glorious human. He’s totally and entirely himself without reservation. Being around him makes me brave, which makes my writing brave as well. What writers have mattered to you? Some may have mattered as a reader and others may have been crucial in your development as a writer. That’s such a hard question to answer. So many of my friends are writers, and talking to them often feels like one long amazing master class! I also have a super writer’s group which has been going since 2007 when we had a studio in an old zipper factory on Tennyson Street. That said, WORK is dedicated to my doctoral supervisors Bryan Walpert and Jack Ross, and to my publisher Chloe Lane. So those three – they’re all writers alongside the other hats they wear – have been mentors to me in different but crucial ways. Bryan especially; he has mentored me for the last six years, first as a teacher at Massey, and then as an academic and a poet during my PhD. You need to be tough to work with Bryan. He knew I could go further with my work, but like most writers I had self doubt and a lack of clarity about what I wanted to say. He kept on pushing and pushing until I stepped up. He will hate me saying this because he dislikes gushiness and sentimentality, but he’s a brilliant mind and an outstanding teacher. I’ve learned more about poetry from him than anyone else. It’s also why I’ve continued to teach at Massey. I want to be able to do that for other writers. In terms of poets, Robert Hass and Anne Kennedy have both had a huge influence on my work. I wrote my doctorate on Hass, and while I know he’s not to everyone’s taste, I’m still deeply moved by his work. I’m in a life long relationship with his first four collections! Anne Kennedy’s The Time of the Giants was one of those collections that shifted my world. She’s simply amazing. It was my first introduction to contemporary long form poetry and now I can’t stop. 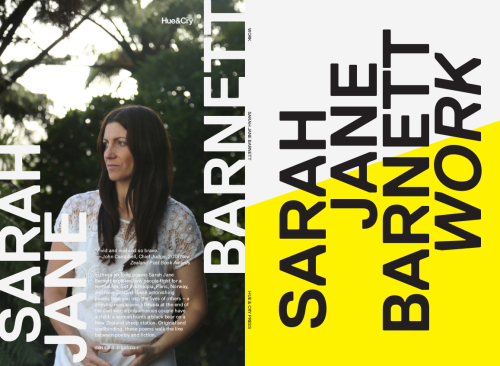 This entry was posted in NZ author, NZ poetry, NZ poetry, NZ poetry book, NZ Poets and tagged Hue & Cry Press, NZ poet interview, NZ poetry interview, NZpoet interview, Sarah Jane Barnett on October 22, 2015 by Paula Green.